The spring weather in Woodbury, MN is finally here! Walking through your neighborhood, you will see neighbors working in the yard and pets sunbathing in the driveway. A sight that you would not see just a month or so ago. Just as we are venturing out more due to the great weather, so are the pests! These critters pop up anywhere, especially in your yard, garage, and even inside your home. Now is the time to partner with Eco Tech for your bug control services so that you and your family can enjoy the beautiful, spring weather pest free! Using our all natural pest extermination products, our staff can get rid of the critters while the rest of your family that you want to keep around stays safe! A locally owned company with a true passion for providing pest control to this great community, our experienced staff has over 50 years of combined experience dealing with these unwanted bugs. Over the years, we have mastered the pest species that live around this area, and we know how to fight them quickly. By providing a four year warranty on our pest control services and not tying our customers down to annual fees, we have been able to gain the trust of the Woodbury, MN community. Additionally, our products are Eco-friendly and all natural, keeping your children and pets safe during the extermination process. As your exterminator, getting rid of these pests temporarily is only part of the process. Pest prevention is just as important. Our dedicated staff will work with you to ensure that you know the preventive steps to keeping these annoying pests away for good. Through our 17 point inspection practice, our team finds the pests, gets rid of any nesting, repairs any damage they may have caused, and provides preventative measures to keep these critters from coming back. If you are looking to partner with an experienced team of pest extermination experts, look no further than Eco Tech. Our dedication and experience around the Woodbury, MN community helps us continue to keep these unwanted pests away from your home. Give us a call today at (763) 785-1414. If you keep your eyes out on our website, you may even find a coupon to use on your initial visit! 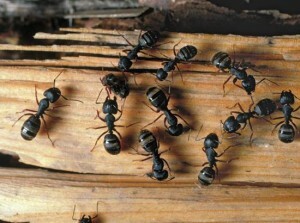 Get rid of these pests now so you can enjoy this great weather pest free!